Lasell Village is a distinctively different continuing care retirement community that fosters lifelong learning as part of its overall approach to satisfying retirement living. At Lasell Village, we strive for a caring, enriching, and vibrant community for our staff team as well as our residents and the overall community. 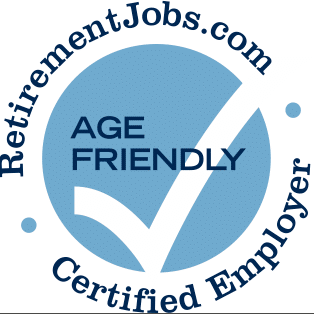 We are proud to be certified by RetirementJobs.com as an Age-Friendly employer, welcoming to employees age 50+. Lasell Village is home to more than 200 residents in independent living apartments, Lasell Studios, a 9 apartment supported living unit, and Lasell House, a 38-bed skilled nursing, and rehabilitative facility. Lasell Village is looking for motivated and energetic people to join its dining services. As a member of our wait staff, you will provide a casual and upbeat atmosphere for our residents. Responsibilities include: greeting residents at the table, taking orders accurately and efficiently, serving each course in a timely manner, maintaining the cleanliness of tables and wait stations before, during, and after shift. The shift starts at 4:45 pm and goes approximately until 8:30 pm. Occasionally, there might be some lunch shifts available. Communication, teamwork, work ethic and attitude are extremely important to this position. Must be friendly and outgoing with excellent hospitality skills and able to maintain a positive and professional manner through the duration of the shift. Must have the ability to follow verbal instructions, function in a fast-paced environment and work well with people in a team environment. Lasell Village is an Equal Opportunity Employer. We are local to the MBTA Riverside Station. Lasell Village currently has an opportunity for a full-time Housekeeper to join our team. The hours are 7:00am-3:30pm. POSITION SUMMARY:The primary purpose of your job position is to perform the day-to-day activities of the Housekeeping Department in accordance with current federal, state and local standards, guidelines and regulations governing Lasell Village, and as directed by the Director of Housekeeping, to assure that the facility is maintained in a clean, safe, and comfortable manner. Quality customer service is a top priority for everyone at the Village. Clean all assigned areas including but not limited to resident apartments, bathrooms, common areas, hallways, handrails, dining rooms, public bathrooms, and offices as assigned. Ensure that equipment is cleaned and properly stored at the end of the shift. Inform the resident when it is necessary to move his/her personal possessions during cleaning procedures. Must have patience, tact, a cheerful disposition, and enthusiasm, as well as the willingness to handle challenging residents/associates. May be exposed to blood, body fluids, infectious diseases, air contaminants (including tobacco smoke) and hazardous chemicals. Lasell Village is local to MBTA Riverside Station. Lasell Village is an Equal Opportunity Employer. Lasell Village currently has an opportunity for a full-time Houseman to join our team. This is a full-time position working 6:30am-2:30pm, every other weekend is required. POSITION SUMMARY: The Houseman is to perform the day-to-day activities of the Housekeeping Department in accordance with current federal, state and local standards, guidelines and regulations governing Lasell Village, and as directed by the Housekeeping Manager, to assure that the facility is maintained in a clean, safe, and comfortable manner. Quality customer service is a top priority for everyone at the Village. Perform proper techniques of floor care and preparation of areas to be cleaned, buffed, stripped or waxed as well as carpet cleaning. Must be able to operate and maintain all floor cleaning/finishing equipment to include but not limited to floor buffer/burnishers, carpet extractor, and carpet cleaning equipment. Lasell Village offers a comprehensive benefits package that includes; medical, dental, vision, 403b with a generous match (7.5%) after one year, tuition reimbursement, EAP, and public transportation reimbursement. Lasell Village is local to MBTA Riverside Station. We are proud to be listed as an Age Friendly Certified Employer. The Manager of Housekeeping is responsible for the planning, organization, development, and direction for the overall operation of the Housekeeping Department. The Manager supervises the Housekeeping staff to ensure cleanliness throughout Lasell Village. This is an extremely customer service oriented role and deals directly with residents on a daily basis. In addition, it is primarily responsible for the overall cleanliness and compliance with health standards and regulations for the skilled nursing facility. Lasell Village is a distinctively different life plan community with education at its heart, located in a New England village setting on the campus of Lasell College in Newton. At Lasell Village, we strive for a caring, enriching, and vibrant community for our employees and residents. Lasell Village is home to more than 200 residents in independent living apartments, Lasell Studios, a 9 apartment supported living unit, and Lasell House, a 38-bed skilled nursing and rehabilitative facility. Quality customer service is a top priority for everyone at Lasell Village. Inspects storage rooms, utility and janitorial closets for upkeep and supply control. Minimum of three (5) years supervisory experience required. Experience in health care, life plan organizations, and management preferred. Must be proficient with general office applications (i.e. word processing, spreadsheets, and online payroll system). Lasell Village offers a comprehensive benefits package that includes; medical, dental, vision, matching 403b, tuition reimbursement, EAP, and public transportation reimbursement. per-diem nurses for all shifts. A graduate of an accredited nursing program with nurse licensure by the State Board of Nursing. A minimum of one year full-time or equivalent clinical experience. Knowledge of established best practices and standards of nursing care. Must relate confidentially, professionally and positively with residents, families and other employees at all levels. Excellent verbal and written communication/critical thinking skills. Answers on Demand (AOD) electronic healthcare system experience a plus. Lasell Village is local to the MBTA Riverside T stop. a part-time nurse to work 7am-3:30 pm, 3pm-11:30 pm and 11pm-7:30am. Lasell Village is looking for a compassionate and energetic Admissions Nurse to work in our skilled nursing facility. This is a part-time position working Thursday evenings and every other weekend from 1pm-9pm. We are looking for a full-time CNA to work overnights in our skilled nursing facility. The primary duty of the CNA is to provide each resident with routine daily nursing care and services in accordance with the assessment and care plan and as may be directed by nursing supervisors. Able to perform tasks which may be physically demanding such as pushing, bending and lifting up to 50lbs.